109cc engine bikes have a low capacity engine which performs extremely well in all types of conditions. As the 110cc motorcycles carry a low power engine, they are cheaper than 125cc or 150cc bikes. They save money and cut down the traveling expenses. They are not heavy. Hence, a person with below average physique can easily control the bike. One of my friends owns the old CD100 bike. The bike is not as advanced as Pulsar 150cc or Apache RTR, but it offers an incredible mileage. The bike saves up to 10 Rs per kilometer every day for him. He rides the CD100 bike daily for five to seven kilometers. He saves Rs 20 to 30 every day and up to 400 on fuel per month. Well, the CD100 is an old bike which Hero had introduced in 1998. You cannot buy it in new condition. If you’re searching for a new 110cc bike that provides good mileage and performance as CD100, go through the below list of motorcycles. Hero and Honda are two different companies. They compete with each other in every price segment. 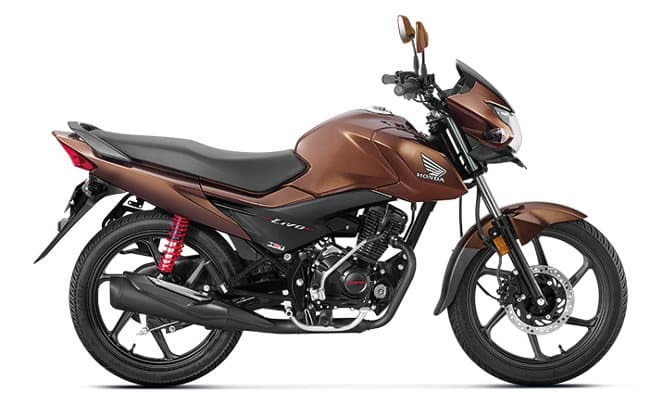 When it comes to 110cc segment, LIVO is the most advanced and impressive Honda bike. The design of LIVO bike is almost the same as Hero X Pro. The two bikes also carry similar specifications. 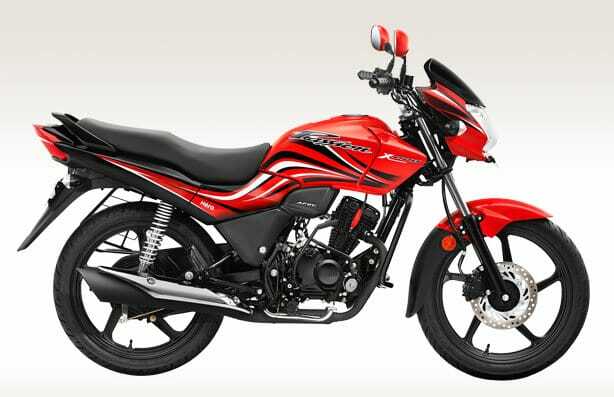 The Honda bike carries a price tag within 56000 to 68000 Rupees and comes in six color options. It has a modern front panel and stylish headlamps. Honda LIVO comes armed with a 109.1cc HET engine designed and developed by the Honda motors. It features a beautiful speedometer. Honda has fitted a modern suspension system in LIVO. The suspension ensures that the bike’s performance is the same for all types of surfaces. LIVO bike has 111 kilograms weight. Its engine produces 6.10 Kilowatts of power at an rpm of 7500 and 8.6 Nm of torque at 5500 rpm. Passion series of Hero bikes are among the best-selling motorcycles of Hero motors. Hero has been launching Passion bikes since it was in partnership with Honda motors. X Pro is the latest edition. It costs within 490000 to 60000 Rupees. X Pro’s design is same as the bike’s earlier models. In other words, the bike has stunning looks. You can purchase it in eight color combinations with or without tubeless tires. 9.3 Nm torque at the rate of 5500 RPM. 4.5 kW power at 7500 RPM. The 110cc bike comes with front/rear hydraulic shock absorbers aka suspension. It has 112.9 kilograms weight and a fuel tank with a capacity of 9.5 liters. The Hero Passion X Pro bike provides 86 – 87 kph top speed and has a superb mileage of 86 Kmpl. Embossed finish, stylized logo, aluminum rail at the backside. Tires with a unique pattern for extra grip on wet roads. Beautiful headlamps, a glossy logo on the muffler. Allow wheels, durable tank, 109.7 cc engine with 8.4 PS power and 8.7 NM torque. A weight below 110 kilograms. Mileage of up to 86 kilometers per liter. Top speed of up to 90 kph. Price: 41000 to 53000 Rs range. Centuro is Mahindra’s top-selling 100cc segment bikes in India. It is fuel efficient, stylish, and innovative. The bike has an intelligent 109 cc MCi-5 OHC engine that features a special microchip. The chip takes care of igniting the fuel. Centuro provides an engine mobilizer function that locks the engine and makes the Centuro bike blow the horn when a person uses a wrong key to unlock the bike’s lock. Mahindra Centuro ships with a high-tech flip key and it features a digital speedometer. It provides disc brakes and tubeless tires. It has 93 Km/hour top speed. Centuro offers a great mileage of up to 85 Kmpl. Tubeless tires fitted to stylish alloy wheels. Four-stroke SEP engine the provides 113cc displacement. Extra bright headlamps for the safety of the rider. 107 kilograms weight, 8.7 Ps power, 9.3 Nm torque. Mileage of within 64 to 69 Kmpl. 87 to 85 kph top speed. Price: 45000 to 53000 Rs range. Conclusion: Our list features the top 5 best 110cc bike in India. We’ve shared the price, mileage, and technical details of the motorcycles. If you’ve more bikes to recommend, let’s know about it. Honda Livo is the number 1 bike in 110cc segment.